Prime your closet for more color with this series of guides for bold shades. SG HQ is breaking down how to wear stylish hues (like how to wear slate grey!) 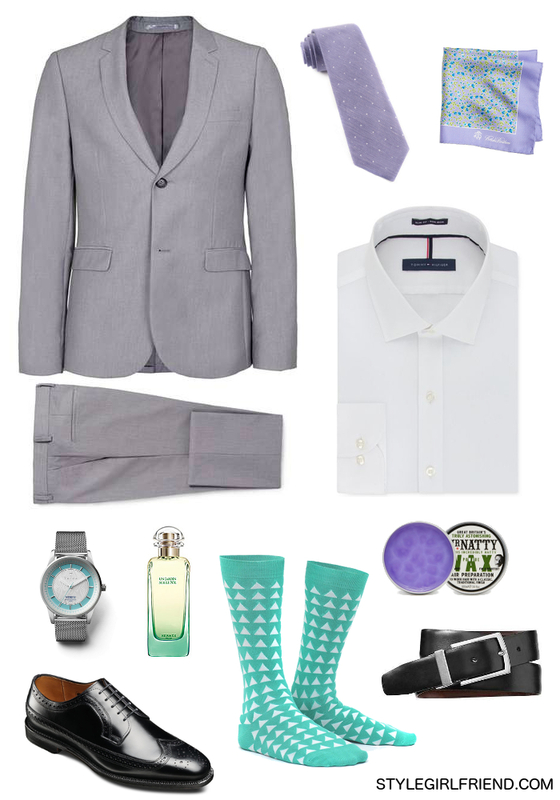 with easy color combinations and outfit ideas for guys. Catch up on how to wear bright blue, amber, lavender, army green, salmon, orange, goldenrod, teal, khaki, burgundy, red, cobalt blue, mint green, pale orange, yellow and navy. It’s easy to think of grey as just a lighter shade of black—but there’s actually a lot of nuance to the color (yes, it’s a color). Take slate, for instance—a hue that might register as blah when you see it on city sidewalks. When you wear slate, though? You’ll discover an interesting shade that boasts an equal mix of green and purple pigments. Translation? It’s incredibly dynamic while still being neutral enough to wear with a lot of other colors, and complements warm and cool skin tones alike. Pretty great for something that seemed boring at first, right? Because of its underlying color mix, seeking out slate items for your wardrobe can be a little tricky. A good rule of thumb? Guys with warmer tones should look for slate pieces that fall a little more toward the green end of the spectrum, while the warmer skinned among you should seek out clothing and accessories that have a little more purple going on. Good news! This color is super-easy to work into your wardrobe. Treat it more or less like you would any other grey (i.e., as a neutral) and then style it accordingly. We love this shade in full suits, jackets, and fitted pants, but it’s also perfect for off-duty items like worn in tees and zip-up hoodies. SG Says: Whether you’re in dressed up slate or rocking a more casual vibe, this color tends to look incredible with light and pastel shades. Keep in mind that cool colors will be more complementary than warmer ones (we wouldn’t, for example, recommend you match slate with lemon). 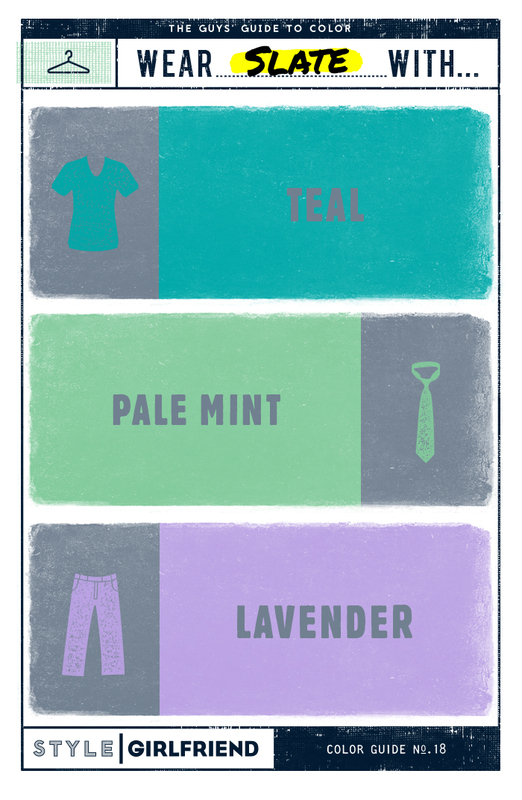 If you’re wearing a slate suit, think about a pale mint or lavender tie. With jeans and a perfectly worn tee in this shade, you might even try a teal jacket or cobalt kicks. Vary shades and textures for visual interest. 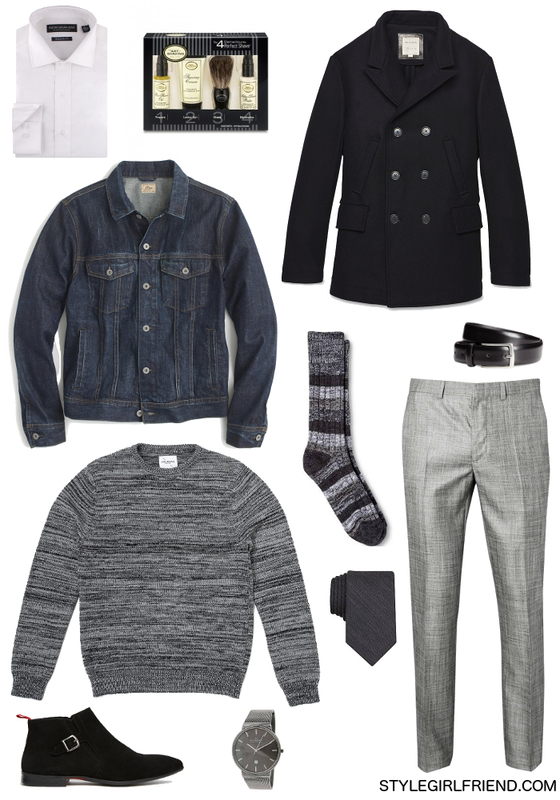 Grey trousers with a marled grey sweater looks streamlined without being boring. Create contrasts to flatter your frame. If you want to draw less attention to your bottom half, keep the pants a solid hue and play up your top half with patterns, prints, or chunky knits. Leverage neutrals. Black is a shade of gray, and so is white – using both of these as accents will add visual depth along with crisp and clean-cut details. SG Says: Working your way towards rocking a bold – possibly neon – color at the office? That’s what we like to hear. You can take neon orange’s highlighter effect quite literally by using it to emphasize small components of your overall look like your textured tie or attention-grabbing socks. While the temperatures tease muted hues and grey galore, use high-energy color splashes to add unexpected touches that pack a (stylish) punch. But – steer clear of combining large swatches of neon colors together or you may end up looking more like a Lisa Frank notebook. 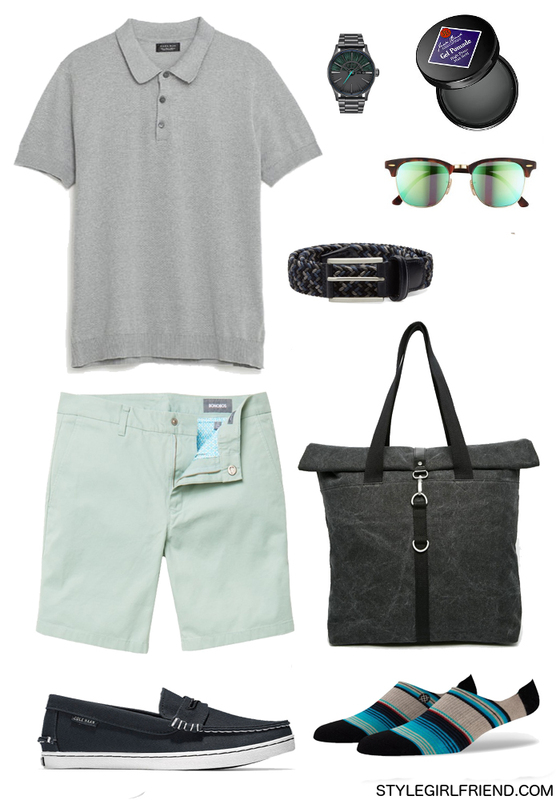 SG Says: Because grey functions as a neutral, you can wear this color most anywhere. A word to the wise about the suit situation though: The warmer the weather, the lighter your grey suit should be. That means: we’d keep this one in the closet until next fall on that front if we were you.